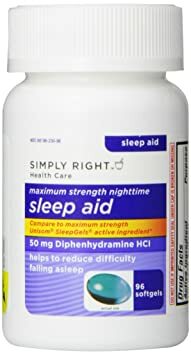 Depending on Diphenhydramine (Benadryl and many over-the-counter sleep meds) to help you sleep too many nights in a row can give you weird half-dreams… You’re not fully asleep, you’re still halfway awake. It’s more like hallucinating than dreaming. And once you realize you’re hallucinating, your body tries to snap you out of it, and you learn a fear response to falling asleep that can stay with you for weeks. Melatonin and Calms Forte have the same effect on me after a couple of days. I had one of those half-awake dreams where my dog and cat were alive again. Orson and Cecil were walking around the house, normal as anything, when suddenly I stopped and realized they weren’t supposed to be alive. “This isn’t right,” I said, as my brain began jarring me awake. “We die all over again every time you do that,” they said right before I jerked awake. Next Post: No, laws won’t stop all criminals, but they can reduce the numbers of victims.